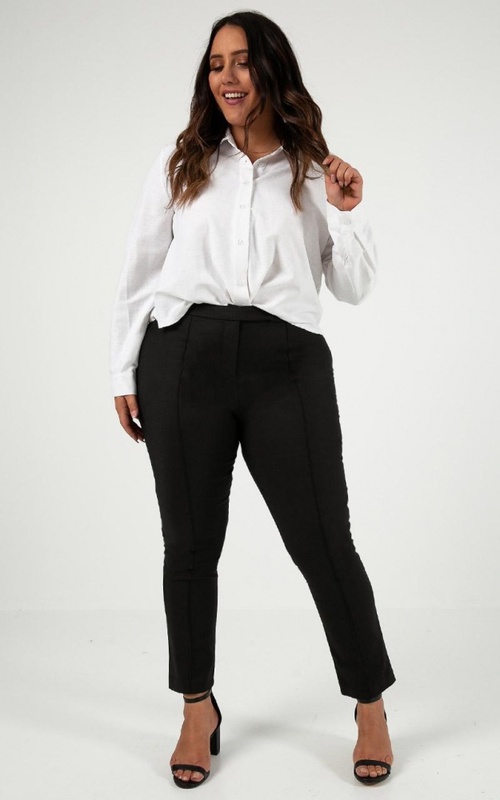 We are falling over backwards for these super well fitted Hierarchy Pants! These are comfortable and sit just right on the body. This is perfect to pair with a blazer and floaty blouse beneath. These pants aren’t the tight fit I was looking for when purchasing a size AU6. They have also faded quite a lot after just a few washes. Would not recommend.